Enjoy 20% off shoes & sandals as well as free shipping while your orders are more than $59. To view more about the discount, click "Redeem Now". Enjoy $4.99 standard flat rate shipping at FootSmart with the coupon code presented during checkout. Shop our new arrivals of comfort shoes and sandals from Merrell, Birkenstock, New Balance, Dansko and more. Shop now! Enjoy free shipping on shoes, sandals, boots, insoles and socks from your favorite brands in the size and width you need at FootSmart while your orders are more than $59. 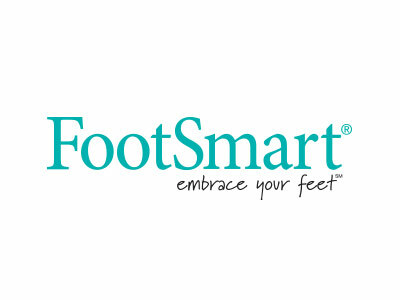 Save $3.99 flat rate shipping on men's and women's dress and casual sandals at FootSmart with the use of the coupon. To view more about the discount, click "Redeem Now". Get 10% off sitewide as well as free shipping at FootSmart while your orders are more than $75. To view more about the discount, click "Redeem Now".